We didn't have a lot of mail today and by all 5 of us working had the Bibles all labeled and loaded by 10:15 am. I was thankful for Anna, Roma, Edie and Eva Jean's help. 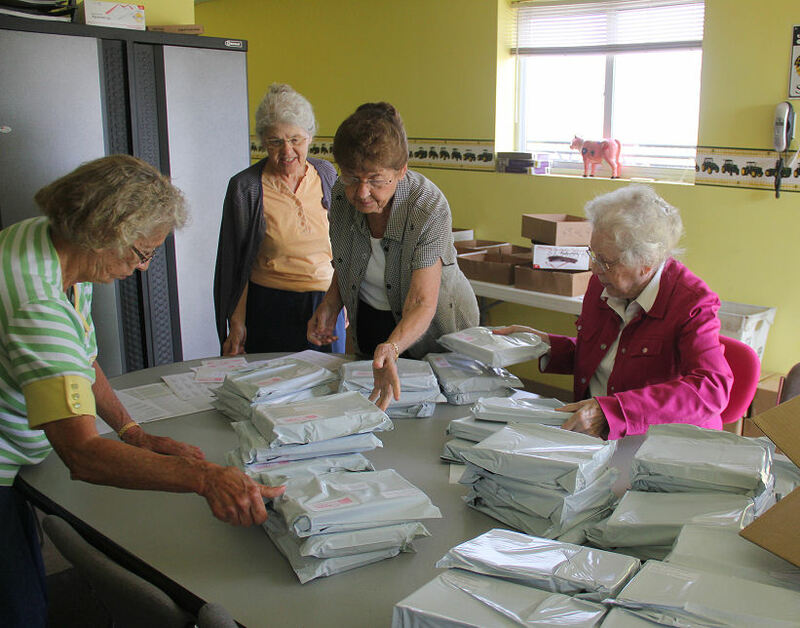 Many hands really do make light work and our 10 had these Bibles flying out the door.